This photograph shows a detail from one of the most celebrated ancient mosaics to have survived into the modern era. The mosaic depicts Alexander the Great’s defeat of the Persian king Darius; the detail here illustrates Alexander himself. In its entirety the mosaic measures 5.82 x 3.13m (19ft x 10ft 3in), and is made of around a million tesserae (small mosaic tiles). It was discovered in the largest house in Pompeii, the House of the Faun, in a room overlooking the central peristyle garden of the house. It is thought that this house was built shortly after the Roman conquest of Pompeii, and is likely to have been the residence of one of Pompeii’s new, Roman, ruling class. The mosaic highlights the wealth and power of the occupier of the house, since such grand and elaborate mosaics are extremely rare, both in Pompeii and in the wider Roman world. 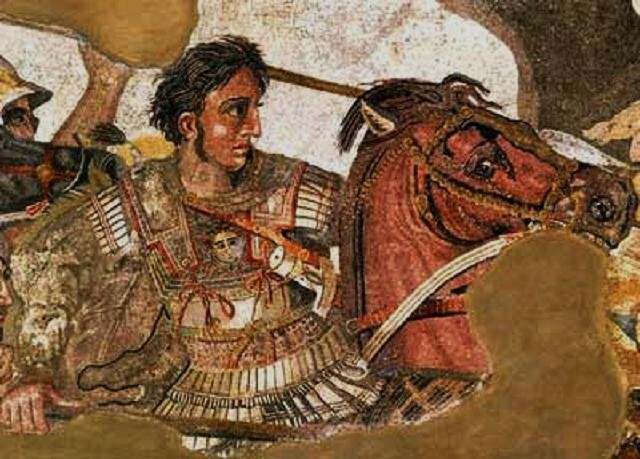 This mosaic seem to be used in all books and documentaries that mention Alexander the Great. I’ve noticed the same thing. 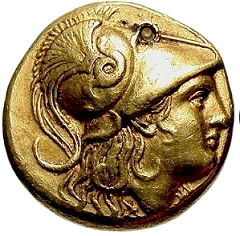 Probably it is the most used photo of Alexander. I was fortunate enough to see this in the Naples Museum a number of years back and it is impressive. Nice post.